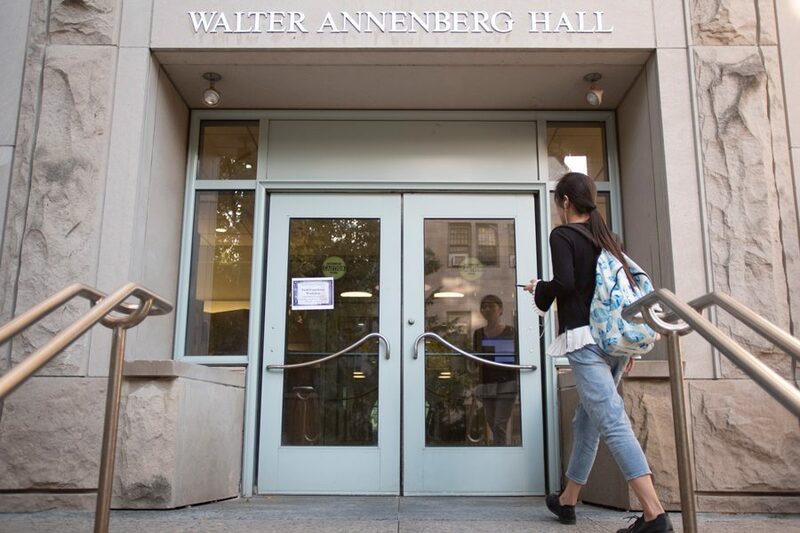 Annenberg Hall. A SESP economist co-authored Institute for Policy Research working paper studying the effects of sexism on women from childhood to adulthood. Sexist attitudes in the place a woman grows up can affect their socioeconomic outcomes long after childhood, even after they have migrated to another state, says a new Institute for Policy Research working paper co-authored by a NU economist. The average American woman’s labor-market outcomes have seen dramatic positive changes over the past several decades, with higher a probability of employment and higher wages. While a large swath of literature documents thus, according to a School of Education and Social Policy news release, none have studied the differences in women’s outcomes across states before the study, co-authored by SESP prof Jonathan Guryan. Guryan and co-authors Kerwin Kofi Charles of the University of Chicago and Jessica Pan of the National University of Singapore were the first to analyze persistent gaps in women’s market outcomes in the U.S.
Sexism where a woman was born affects their outcomes even after they are an adult living in another job market because of the influence of norms that they’ve internalized during their formative years. The paper coined the term, “background sexism,” to describe this phenomenon. “Residential sexism,” on the other hand, describes sexism in the woman’s current state of residence. The paper found that wage and employment gaps among women are strongly related to mean male sexism, showing that the effect of residential sexism is almost due entirely due to men. Charles said that while the paper is chiefly about documenting the effect of gender-role attitudes, the results highlight the need to be attentive to the signals sent to young women. “It speaks to the importance of being vigilant about sexism in all its forms, even when someone is young.” Charles said. Pan said she believes that education policies would go a long way in helping to ameliorate the effects of sexism on future generations of women. However, the implications of the causal effects of background sexism and residential sexism are different, Pan added. Background sexism requires policies that aim to directly shape slow-changing sexist norms while residential sexism needs those aimed at eradicating employer discrimination in the labor market, Pan said. “If we could figure out a way for policy or education to change those attitudes, that would be better for society and better for the economy,” Guryan added. The research process was set in motion over 10 years ago, according to Guryan, who said an earlier version of the working paper was written with some interesting findings, but he knew it wasn’t complete. Pan was still a graduate student at The University of Chicago when the project began but soon graduated from a student to colleague position in her work with Guryan and Charles. Guryan said he and Charles are frequent collaborators and close friends. Moreover, it was “a delight” to work with Pan, a past student of theirs, both because of her interest in gender specifically and her difference in age and background from Guryan and Charles. The paper used a sample of white internal migrants drawn from data from the Census and American Community Survey. Charles said the analysis specifically excluded women of color due to the challenge of accounting for how race and gender interact. “A Latino woman or an Asian woman might be subject to sexism that might be peculiar to her racial identity.” Charles said. Nevertheless, Charles said he has no reason to suspect that the same effects of sexism would not be present for those of other racial identities. “Nothing I know from my reading from social science or literature in general, suggests that the forces we’ve described here would not be present for other racial groups,” Charles said.